The name ultramarine literally means ‘beyond the sea’. 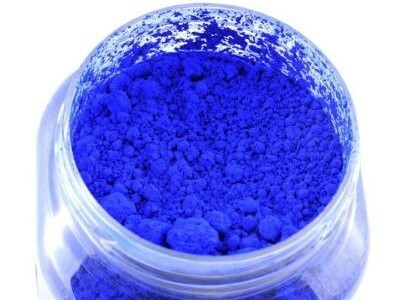 The pigment was originally won from the lazurite stone ‘lapis lazuli’. Lapis lazuli has been used as an ornamental stone in both China and Egypt since 3000 BC. The pigment was first used to paint the walls in the cave dwellings north-west of Kabul in Afghanistan. 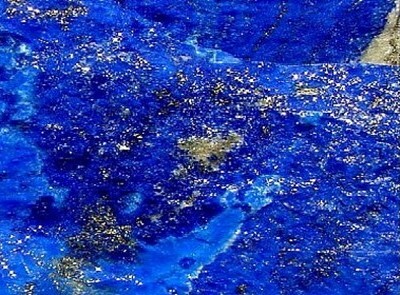 In the year 1200, the Arabs started making pigment from lapis lazuli. At the end of the 14th century, the artist Cennino Cennini (1370-1440) also made pigment from it. He created a pulp by pulverising the stone and kneading it in a mixture of wax, pine resin, linseed oil and mastic gum. Some parts of the semi-precious stone lapis lazuli have greyish and golden spots or stripes. The pigment that is made from the dark blue part of the stone is just as expensive as gold. Lapis lazuli has no tinting strength but it is lightfast. The pigment is not resistant to acids. On contact with a drop of acid, such as lemon juice, the blue stone changes into a white stone. When used for making oil paint, the oil must be free of acid to avoid bleaching the pigment. The pigment is more transparent than opaque, but this depends on the size of the grains of pigment used. 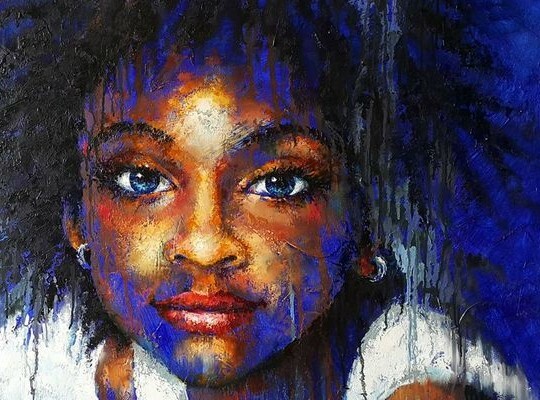 When used as oil paint, it has a glazing effect and produces a brittle layer of oil paint. When used as a watercolour, the pigment particles remain visible on the paper. The colour lapis lazuli is hardly used anymore. A new ultramarine came into vogue in 1824, when the Frenchman J. B. Guimet of Toulouse found out how to prepare the pigment artificially. In 1828, the German Cristian Gmelin used roughly the same method to make ultramarine. The production of this non-lightfast ultramarine started in 1830, and it was not as expensive as the lapis lazuli just described. The recipe was improved over the years, thus creating a lightfast ultramarine with better tinting strength. Today, ultramarine is compiled from china clay (kaolin), quartz sand, soda and 0.1% sulphur that has been heated to 780 degrees centigrade. The ultramarine with enhanced tinting strength is lightfast. If you use ultramarine, note that the layer of oil paint will wrinkle if you apply the paint in thick layers all at once. Adding white to ultramarine creates a colour which approximates cobalt blue. Adding a little black to ultramarine blue creates a colour that evokes a clear summer night’s sky. Dark ultramarine blue has a reddish undertone and is suitable for mixing with a bluish red (Bordeaux red), creating clean violet colours. 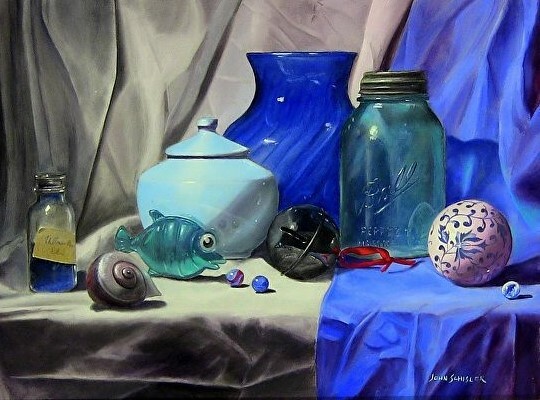 Light ultramarine blue has a greenish undertone, which gives a clean green when mixed with lemon yellow. Ultramarine blue often has a wiry structure, both as an oil paint and a watercolour. The pigment particles remain visible on the paper, especially when using dark ultramarine blue for creating the watercolours.